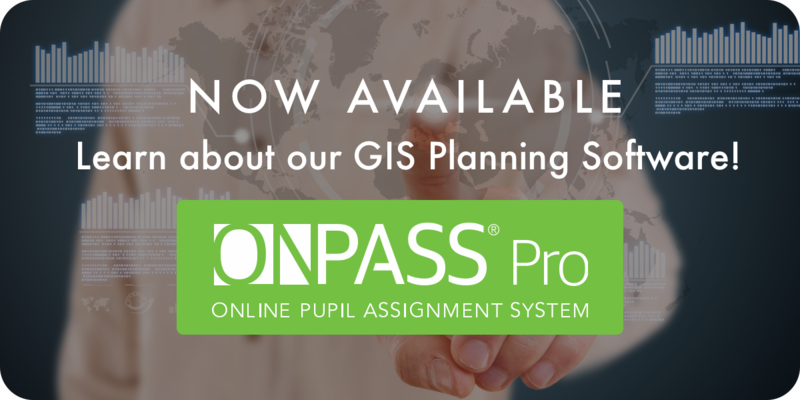 Planware, a division of Educational Data Systems, provides educational planning services and software based on Geographic Information Systems (GIS) technology. We understand that planning for the needs of a school district can be an enormous task. Planning requires an intricate understanding of what is going on at all levels within the district, including the mechanics and dynamics of how the district works in its entirety. It also requires an in-depth understanding of the student populations and facilities of all your schools. Planning decisions can affect thousands, if not hundreds of thousands, of people and millions of dollars. We understand the magnitude of this responsibility and are happy to support you in your planning journey. Our experience, technical expertise, and software help get your very important and highly specialized planning jobs done—helping to free up time so that school district staff can focus on other tasks to support student success. “When school starts in the fall, do I take my kindergartener to School A or School F?” “What high school will my junior high student go to next year?” “Will my child attend the new school that is being built?” “If we move into the district, what schools will my children attend and how far will they have to travel to get to school?” These types of questions will be asked thousands of times over the course of a school year. Clarify borders and school coverage with our web-based mapping service. LocateMySchool is a user-friendly online resource that shows parents, students, and school staff the information they need on school assignments and locations by enabling them to identify specific school assignments for any street address in the community. Do any of the following situations sound familiar to you? Because of declining enrollments, you must close a school and you know it will affect your entire community. In order to comply with new policies on walking/riding to school, you need to change school boundaries and assign some students to different schools. After a ten-year hold, the housing development on the south side is finally being built, but now you have 315 new homes in your district and you are certain to see an increase in student population in the middle of the school year. These situations—and many others like them—are real and commonplace in a school district planner’s world. Overcrowding, extra capacity, underutilization of facilities, political pressures, policies and laws—and the job of district planners must address all of these tasks and many others. Leverage our boundary planning services and expertise to help plan school boundaries and optimize targeted resources. We specialize in utilizing the latest Geographic Information Systems (GIS) software to simulate your district’s current demographic and geographic situation, then create boundary scenarios, maps, tabular, graphic, and geospatial reports to help planners make informed decisions for change. Transform complex district planning and demographic data into actionable insights. Our enrollment forecasting service help districts make better decisions while optimizing resources. Show MoreAn enrollment forecast is one of the foundational pieces of information on which annual and long-range district and school plans are based. Once enrollment forecasts are in place, planning processes may begin—budgeting, transportation policies, inter-district transfer policies, addition or removal of portable classrooms, hiring decisions, opening or closing of schools, student assignments—planning decisions that have large impacts on the district. We tailor our enrollment forecasting services to your district’s need. Some districts’ forecasting needs may be met with a simple cohort survival ratio (CSR) method, but others may require a more involved method that includes multiple factors such as housing and development, birthrates, in- and out-migration, special programs, magnet schools and open-enrollments, attending/residing enrollments, and other trend data. The use of Geographic Information Systems (GIS) and computerized map-based data visualization will bring insight into the data that otherwise may not be evident.